The Lusty Lloyd Loom Model 1153/3 is a beautifully designed modern settee suitable for the conservatory or living area. Luxuriously comfortable and at home in modern or traditional houses, this is a three seater version of the Model 1153 armchair. 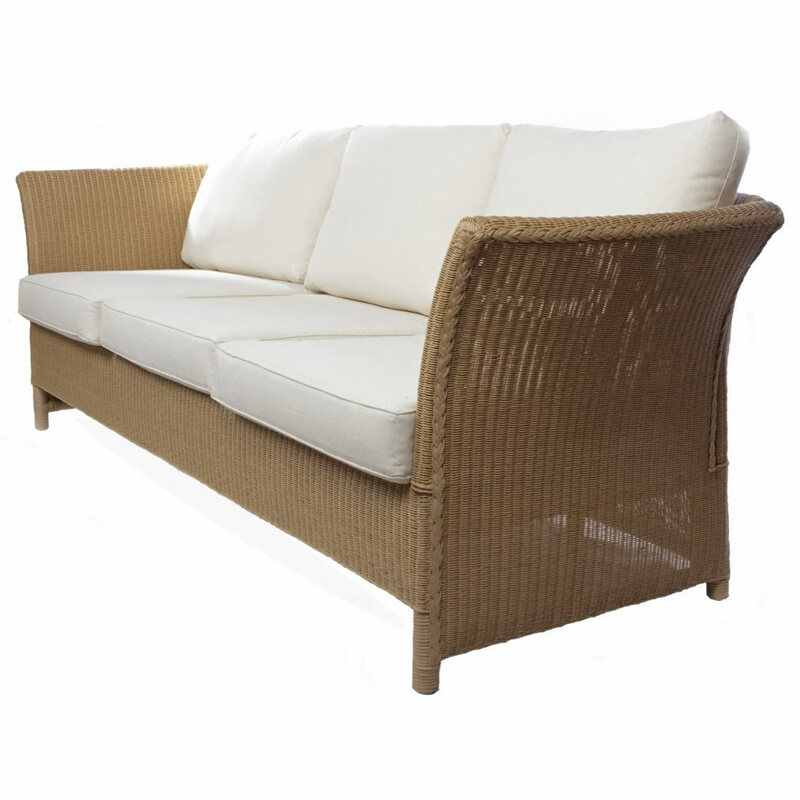 Includes 6 cushions, covered with cream, fire resistant fabric. Designed by Will Lusty 1999.